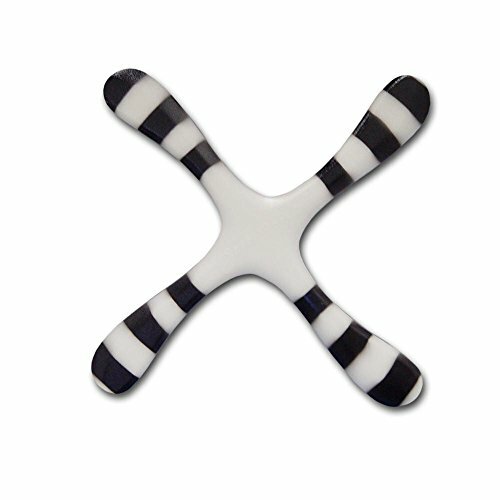 This is one of our best boomerangs for kids from ages 7-15 years old. It is an easy returner and is great for beginner "Fast Catch" boomerang athletes. Expose it to a car headlight for 30 seconds and then throw it after dark for the full visual effect! Videos available online. Great for Beginning Throwers from 7-15! Our Easiest to Throw Boomerang... Great Returns, Long Hover! Includes a 22 page, Illustrated Boomerang Throwing Booklet! From one of the top names in Boomerangs...Colorado Boomerangs! Uses the latest manufacturing technology! 4 Blade design gives more lift!